Would you make a good HVAC technician? Take our career test to find out how you match with this and over 800 other careers. What is the workplace of an HVAC Technician like? What safety issues are of particular concern to an HVAC Technician? HVAC is an abbreviation for heating, ventilation, and air conditioning. A qualified HVAC technician is a technician who installs, maintains, and repairs heating, ventilation, air conditioning, and refrigeration systems that control the temperature and air quality in buildings. HVAC/R is an alternative abbreviation. Although trained in all three components, HVAC technicians sometimes choose to work strictly with just one of heating, air conditioning, or refrigeration systems. In some cases, they may specialize in installation, maintenance, or repair. They may also specialize in a certain type of equipment, such as water-based heating systems, solar technology systems, or commercial refrigeration. The answer to the question, What does an HVAC technician do?, will vary somewhat depending on industry of employment, position, and specialty. What does not vary is the importance of the work that these technicians do. Heating and air conditioning systems control the temperature, humidity, and overall air quality in homes, office buildings, schools, hospitals, factories, stores, and other facilities. They help keep us comfortable – and healthy! By providing a climate controlled environment, refrigeration systems make it possible to store and transport food, medicine, and other perishable items. Typically, an HVAC technician will install a unit based on the specifications provided by an architect or architectural engineer. Before performing the installation, a technician will complete the calculations required to determine which HVAC system is appropriate. 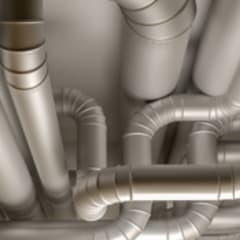 Once the unit is installed, he/she will test the system’s piping and connections and connect the HVAC unit to the ductwork or distribution system. Refrigerant technicians, who must be certified by the Environmental Protection Agency (EPA), will also charge the system with refrigerant. To ensure efficiency, heating, ventilation, and cooling systems must undergo regular maintenance checks; normally twice yearly, at the beginning of spring and at the beginning of autumn. These checks, performed by an HVAC technician, generally include testing and cleaning the blower fan, checking the level of coolant in the cooling system, and testing the system’s thermostat and operation. HVAC technicians deal with problems or issues concerning the HVAC unit itself, thermostats and other controls, the air handling system, compressors, and refrigerant levels. In jobs where union membership is not an issue, an HVAC technician may complete the assembly and installation of the ductwork that distributes the heated or cooled air from the HVAC system. This includes cutting the sheet metal to form the ducts, attaching the ducts to the HVAC unit, and mounting the ductwork in the building. It may also include the installation of registers where the ductwork connects to individual spaces. Some HVAC technicians sell service contracts to their clients, providing regular maintenance of heating and cooling systems. In some instances, other tradespeople will work with HVAC techs to help install or repair cooling and heating systems. 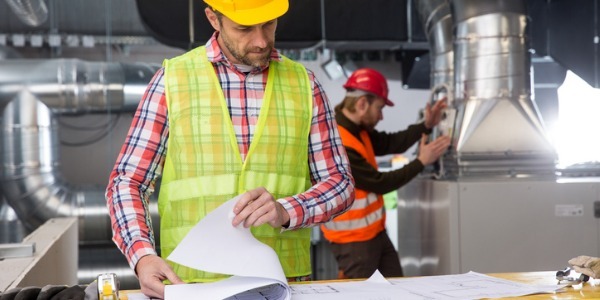 For example, on a large air conditioning installation job, especially one in which workers are covered by union contracts, ductwork might be done by sheet metal workers and duct installers, or electrical work by electricians. Repairs to household refrigerators or window air conditioners are often carried out by home appliance repair services versus HVAC technicians. With the rising cost of power, building operators are increasingly concerned with conserving energy. Effective energy usage, therefore, has become an important part of HVAC/R work. This means that technicians may be called upon to determine the energy usage of HVAC/R systems, upgrade systems, install smart thermometers or green heat pumps, and to periodically monitor energy usage. Regardless of the job to be completed, HVAC technicians must follow government regulations and local HVAC codes regarding the handling, conservation, recovery, recycling, and disposal of refrigerants and other fluids. Another aspect of the job is advising customers as to how to prevent future problems and properly maintain equipment by, for example, regularly oiling parts or changing filters. In short, the HVAC technician has three objectives: Prevent problems. Save money. Stay comfortable. These technicians may also be involved in collaborating with sales and engineering departments to develop products that respond to customer needs and market opportunities. Depending on the task at hand, HVAC technicians use many different tools. When installing systems, they use screwdrivers, wrenches, pipe cutters, and other basic hand-tools. To test or install complex system components, technicians may use more sophisticated tools, such as carbon monoxide detectors, voltmeters, combustion analyzers, and acetylene torches. Are you suited to be a HVAC technician? HVAC technicians have distinct personalities. They tend to be realistic individuals, which means they’re independent, stable, persistent, genuine, practical, and thrifty. They like tasks that are tactile, physical, athletic, or mechanical. Some of them are also investigative, meaning they’re intellectual, introspective, and inquisitive. Does this sound like you? Take our free career test to find out if becoming a HVAC technician is right for you. Work schedules for HVAC technicians are typically full-time, but the nature of their work means that evening, weekend, overtime, and irregular on-call hours are common. During the peak of heating and cooling seasons, many may work overtime. When servicing equipment, these technicians have to dispose of harmful refrigerants used in air-conditioning and refrigeration. This involves using special recycling equipment. Refrigerants like chlorofluorocarbon (CFC) or hydro chlorofluorocarbon (HCFC) are considered to be 100% ozone depleting. They can be purchased, installed, and extracted only by a certified HVAC technician. Many HVAC technicians often find themselves working in cramped and uncomfortable spaces, at extreme heights, and sometimes in dangerous conditions like extreme weather (to service outdoor heat pumps and heat exchangers). They face numerous potential hazards, including electrical shocks, burns, muscle strains from lifting heavy equipment, and breathing problems caused by the dangerous chemicals and refrigerants they handle. Working as an HVAC technician can be a rewarding career choice. It presents an opportunity to consistently resolve customer problems while earning a stable salary. However, the field of heating, cooling, and air also presents a unique set of on-the-job hazards. This means that safety precautions are of the utmost importance in this occupation. Protection is the first and most effective way to stay safe on the job. When exposed to contaminants such as dust or debris, wear a respirator to avoid inhaling harmful substances. Wear goggles to protect your eyes from harmful exposure. Wear gloves when handling particles and anything that could cut you. Before beginning a task, take time to identify any potential hazards that may be present on the job site. Remember that every job and every location present unique circumstances. Take the proper safety precautions. Assess and address the situation at hand. It is common for HVAC technicians to move from one job to the next. Before starting a job, make sure that you have the necessary equipment to properly complete the work ahead of you. Keep your tools in order and in excellent condition. Using faulty equipment is more likely to lead to injury. HVAC technicians work on a regular basis with chemicals and electricity, and in some cases in extreme temperatures. These factors demand that they follow procedure and maintain a no-shortcuts attitude. Particular attention and caution are required when it comes to chemicals. With the potential to cause bodily harm, chemicals need to be stored and handled properly to prevent serious injury. Keep chemicals in their original containers. Never mix chemicals, even if they appear to be similar. Store chemicals in well-ventilated areas and away from vents to prevent fumes from spreading. Follow signage and instructions.